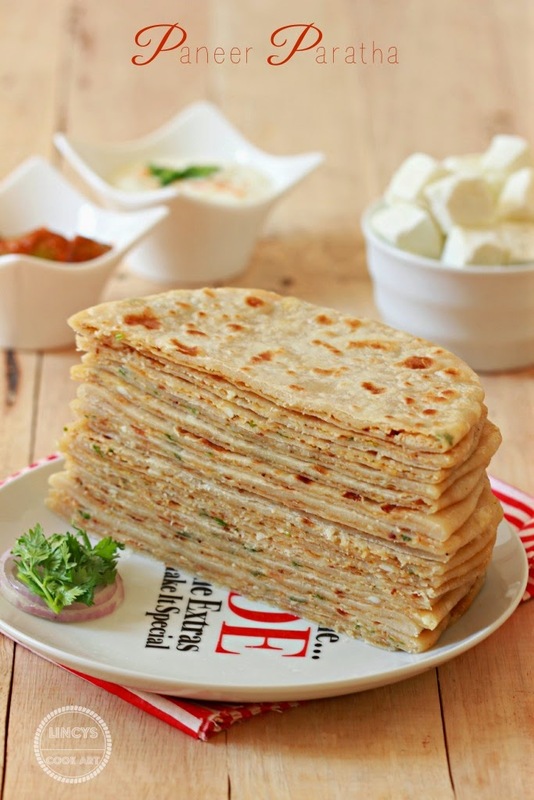 Paneer Paratha is a super easy stuffed flat bread made with cottage cheese, spices and herbs. Today i prepared this stuffed paratha for lunch and we loved it a lot. It does not require any curry to pair with. Simply dip in pickle or yogurt and have it. Perfect stuffed bread for lunch box or picnick. So easy to prepare for unexpected guest arrival. I have used here frozen paneer you could use fresh paneer too for this recipe. Drain the water well and use it for the recipe to get perfect parathas. I love the paneer and ajwain combo as i expected this tastes divine for my taste buds. Squeeze the paneer well and drain the water from fresh or frozen (thawed)paneer. In a blender add the paneer pieces and pulse twice or thrice until the paneer resembles crumble. Transfer into a bowl and add chilli powder, garam masala powder, ajwain, salt and coriander leaves. Spread the dough into a small disc using a rolling pin. Keep a paneer ball inside and gather the edges and press well to seal. 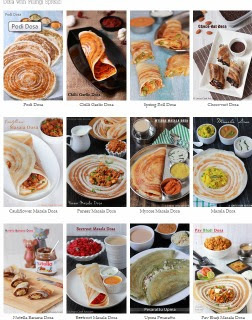 What appealing collection of parathas ,Nice preparation lincy. Who will say no to this irresistible prefectly rolled parathas, definitely not me. I want this now.. Looks super.. I love paneer and I'm definitely going to try this.